Item # 307489 Stash Points: 3,495 (?) This is the number of points you get in The Zumiez Stash for purchasing this item. Stash points are redeemable for exclusive rewards only available to Zumiez Stash members. To redeem your points check out the rewards catalog on thestash.zumiez.com. 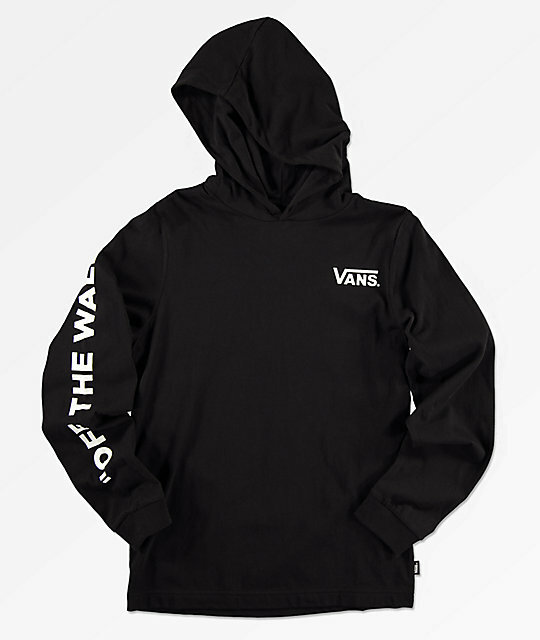 Get signature style from the brand that has been keeping it real for over fifty years with the Van Doren hooded black knit shirt from Vans. This hooded t-shirt features white Vans logo graphics screen printed at the left chest, right sleeve and back and offers a pure cotton construction for a perfect fit. 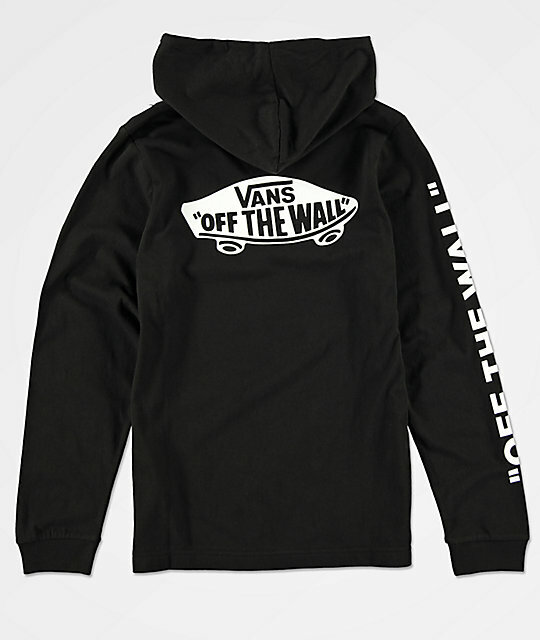 Van Doren Hooded Black Knit Shirt from Vans. Screen print logo graphics at the left chest, right sleeve and back. Measurements taken on a size Youth Medium and may vary by size.